Designed for deep days away from the resort, the Rossignol Soul 7 HD Skis are freeride focused with a Powder Rocker Profile that lifts the nose and tail for improved float and glade-riding agility. At either end of the Paulownia Wood core there are Air Tip 2.0 Inserts, keeping the weight seriously low. And since that weight reduction happens mostly at the tip and tail, chatter is reduced significantly allowing the Carbon Alloy Matrix wrapped around the core to give you a smooth and responsive ride in all conditions. "Hi, I'm an advanced skier, 5'11 and ~240 lbs. 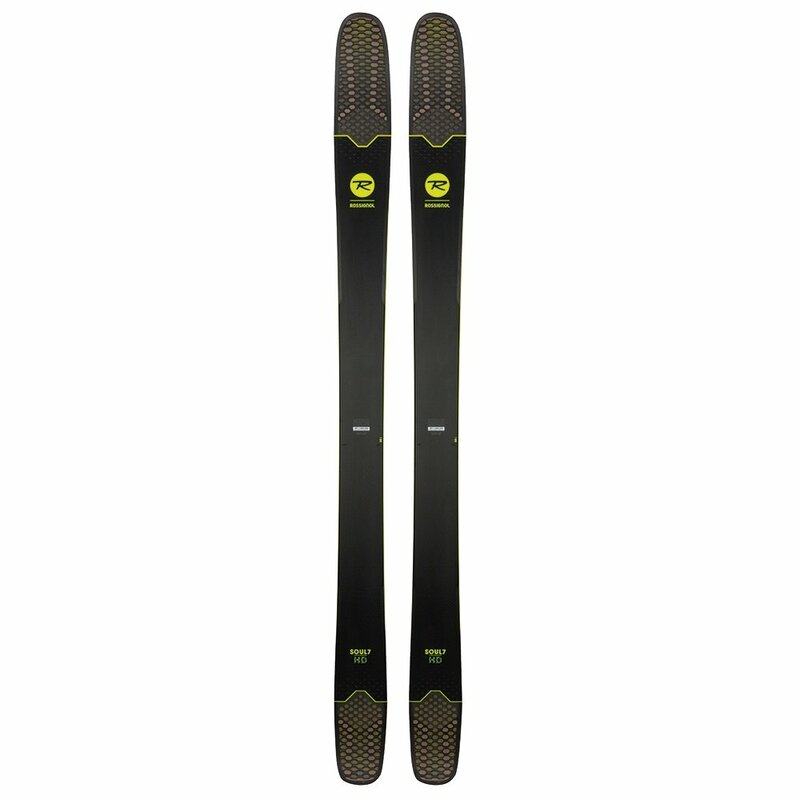 I currently ski with Rossignol S3. Have been thinking to upgrade to Soul 7 or Soul 7 HD and have read your reviews. Do you notice any big difference between the SOuld 7 and SOul 7 HD? And should I go 180 or 188. I do mostly inbounds, bowls in places like Whistler and powder when possible. Thanks!" "The Rossignol Soul is a 2016 ski and the Soul 7 HD is the 2017 model. The Soul 7 HD's are more narrow ski and have a new Carbon Alloy Matrix. At your size, Rossignol would recommend a 188 that will allow you to float better in powder BUT it will take more effort to turn. Hope this information helps!"